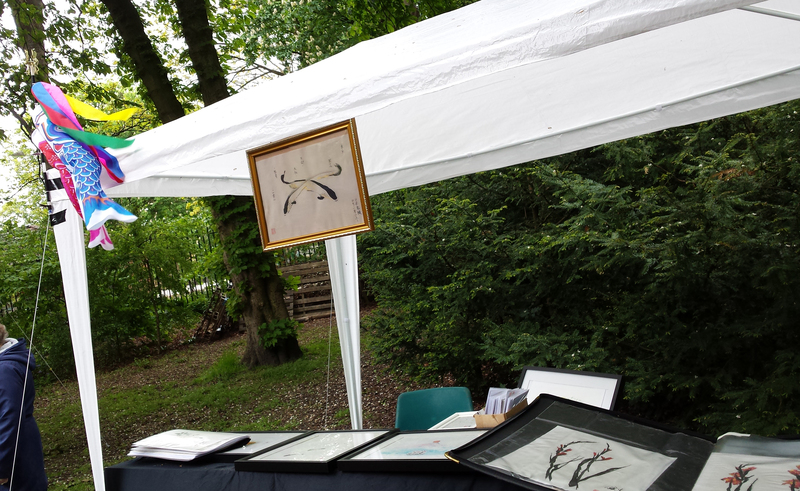 Chorlton Arts Festival on the 16 May, 2015. 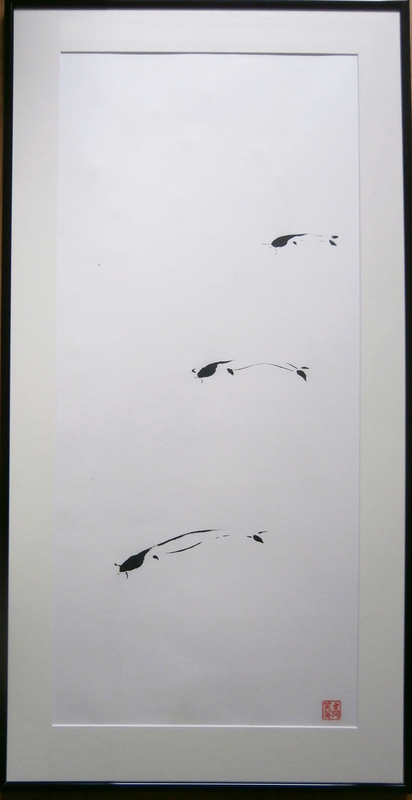 Showing some of my work from Japan. It had really good responded and complimented. The weather was quite windy it was perfectly for the Fishes Flag flying around. ‘April in Japan’ will be exhibiting on the 16 May 11- 4 pm in Chorlton Arts Festival at St. Clement Church in Manchester, UK. Sunshine on the day! 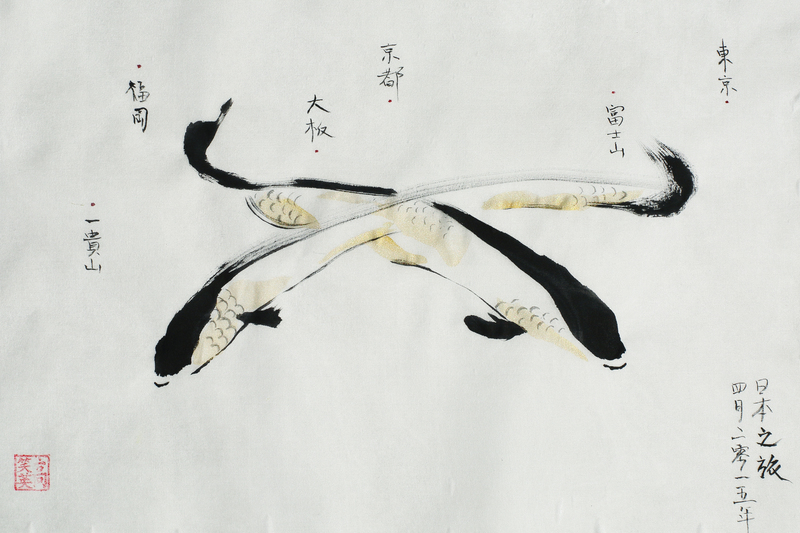 Flying Fishes based on the Golden week from the 29 April to 5 May. On the 5 May, children festival specific for boy. Fishes Flag hanging outside houses for good fortune for their children. Exhibition date on the 25, 26 April,2015 in the Tea Room in Studio Kura Gallery. Kaori came one hour before gave me this beautiful KIMONO as a gift for my exhibition. We met a week before in another artist exhibition in Studio Kura Gallery. The last day in this residency, she drove me and Moon ( New York artist) to the Kawachi Fuji Garden we seen so many beautiful wisteria hanging down it was blossom time. I was so lucky catch that scenery before I leave Japan. 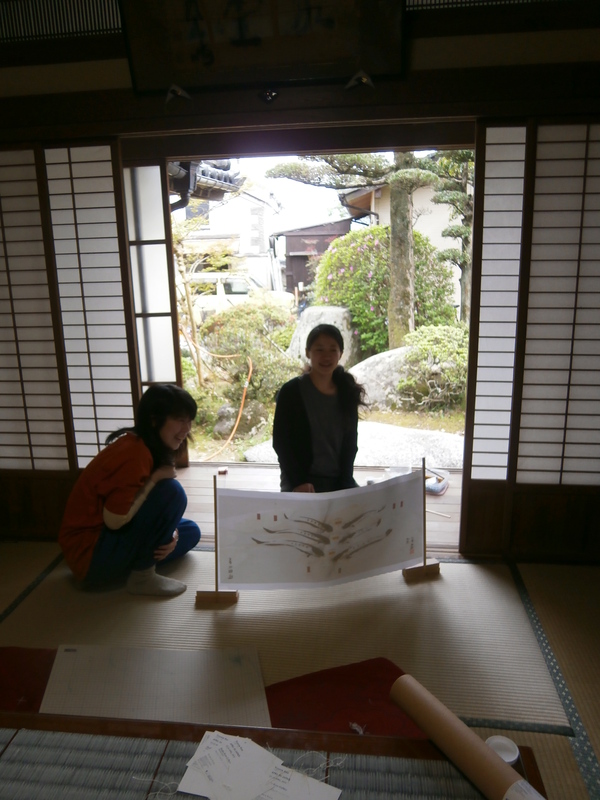 We are organizing my exhibition ‘ April in Japan’ in the tea room at the Studio Kura Gallery. Moon, who is another artist here from New York, is helping me out with my exhibition opening tomorrow, 24 April, 2015, at 3.00. 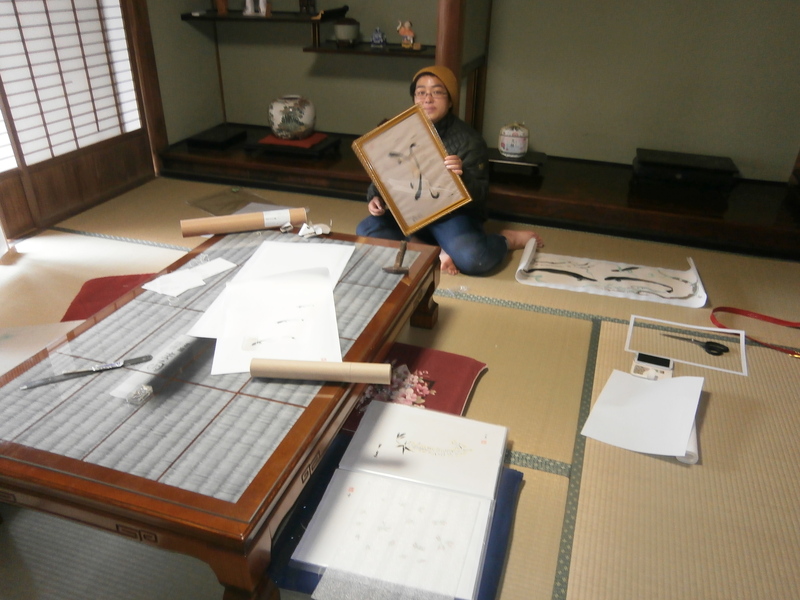 Curator Chihiro created those Japanese stand for the painting for the exhibition. The bamboo and chopstick traditional craft skill impressed me.